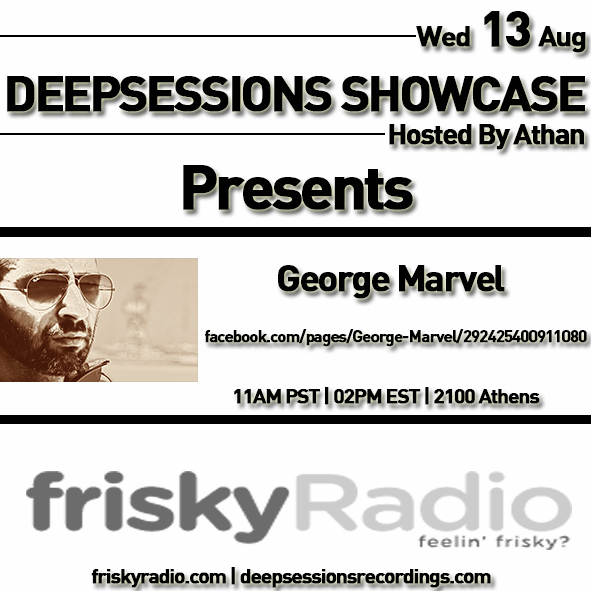 George Maravelakis aka George Marvel was born in 1974 in Iraklion of Crete, Greece. He has been interested in music since his early childhood, and had his first home radio station broadcasting on air, at the age of 16. He studied music in the national conservatoire school of Crete as he enjoyed a scholarship which lasted two years and learned about singing and playing lira (a Cretan instrument like violin). He accepted his first job as a resident dj for a local bar in Iraklion, where he was spinning his first house maxi singles. Later he worked for Iraklion’s branch store of Virgin megastores, for 7 years, as a sales and orders manager consultant. For his music taste, is considered as one of the best djs and radio producers in Iraklion, and has been playing music for local clubs for 17 years. Now he has a live daily radio show at Music Channel 105,1, and is working as one its music consultants and staff managers at the same time. He is taking production lessons on Ableton & Apple – Logic Studio,and he is always on the move to one more step ahead till he drops.